Eleven-year-old April Sloane has never set foot in a school before, and now that President Hoover and his wife are building a one-room schoolhouse in the hollow of the Blue Ridge Mountains where April lives, she is eager to attend it. But these are the Depression years, and Mama, who has been grieving ever since the accidental death of her seven-year-old son, wants April to stay home and do the chores around their dilapidated farm. With her grandmother's intercession, April is grudgingly allowed to go. The kind teacher encourages her apt pupil, who finds a new world opening up to her. But at home, April cannot repair the relationship with her mother, and worse, her mother overhears the dark secret April confesses to her teacher regarding the true cause of her brother's death, for which April feels responsible. The author has used her own experience growing up in a rural area of northern Virginia to create the vivid characters and authentic dialogue and background detail that characterize this finely honed debut novel. She has based the one-room schoolhouse on papers in the Hoover Presidential Library in West Branch, Iowa, which include letters between the White House and the young teacher who taught at the school. 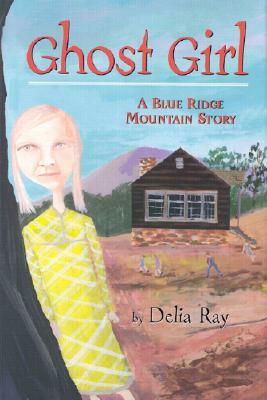 Delia Ray's novel GHOST GIRL: A BLUE RIDGE MOUNTAIN STORY has been nominated on state lists in Oklahoma, Kansas, South Carolina, Missouri, Indiana, and New Hampshire. Ms. Ray is also the author of three young-adult nonfiction books about American history. Her novel SINGING HANDS is based on her mother's experiences growing up as a hearing child with deaf parents. Ms. Ray lives with her family in Iowa City, Iowa.